Loss of hair due to unkown causes. Persons most commonly affected: All age groups after adolescence and both sexes. Symptoms and indications: A receding hairline and thinning around the crown with eventual bald spots. 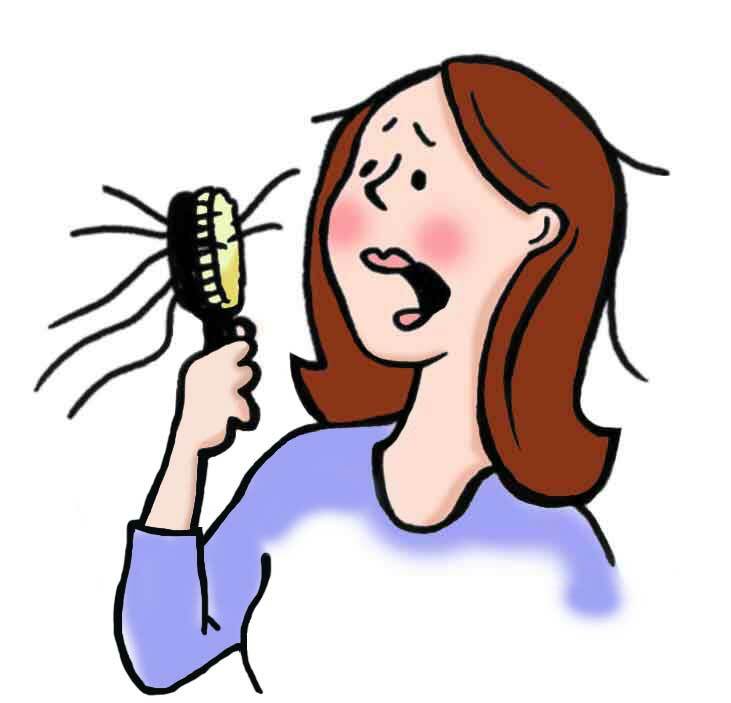 Causes and risk factors: A number of things can cause excessive hair loss. For example, about 3 or 4 months after an illness or a major surgery, you may suddenly lose a large amount of hair. This hair loss is related to the stress of the illness and is temporary. Many women notice hair loss about 3 months after they\'ve had a baby. This loss is also related to hormones. During pregnancy, high levels of certain hormones cause the body to keep hair that would normally fall out. When the hormones return to pre-pregnancy levels, that hair falls out and the normal cycle of growth and loss starts again. Prevention: Most hair loss and baldness is hereditary and there really isn�t any way to prevent it. Other things, however, can cause you to lose hair and if you don�t have baldness in your family, you could find yourself getting a little light on top if you don�t prevent it. If you�re one of the lucky ones that don�t have a family history of needing a toupee, then take some simple precautions and be sure to take good care of your hair. Hair can be lost to improper care and damage. If you over color your hair, over style it, or abuse it with irons and blow dryers too often, you could be in line for some major fall out. Hair shouldn�t be colored any more often than every six to eight weeks and you should avoid it altogether if possible. While hair coloring doesn�t make everyone�s hair fall out, it does do damage and you will have healthier hair if you don�t color it. Try not to stretch your hair into styles that require a lot of pulling like ponytails and braids and don�t pull on it when you brush it. Proper nutrition is essential to good hair as is proper rest. Eat well, be sure to drink plenty of water and get enough calcium, which is important for healthy hair. Getting enough sleep is also important a to help your body function properly and maintain your hair�s normal facilities. Being ill can cause hair loss so if you keep your body tuned up and take good care of yourself to stay strong against illnesses, your hair will have a better chance. Use a good conditioner each time you wash your hair and be sure to keep the split ends of your hair trimmed. Whenever possible, you should let your hair dry naturally instead of using a hairdryer, and try to find a style that does not require an iron Avoid wearing hats that can rub on your scalp causing bald patches.